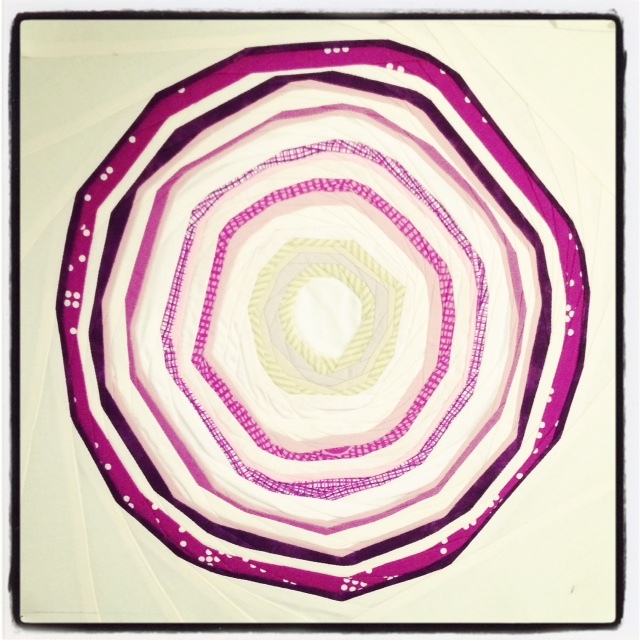 For the first time, I’m going to enter a second quilt into the Blogger’s Quilt Festival. I’ve always admired the quilts in the ROYGBIV category but never had one to share. Well, that all changed this year with my contribution to the Rainbow Mini Quilt Swap I participated in. 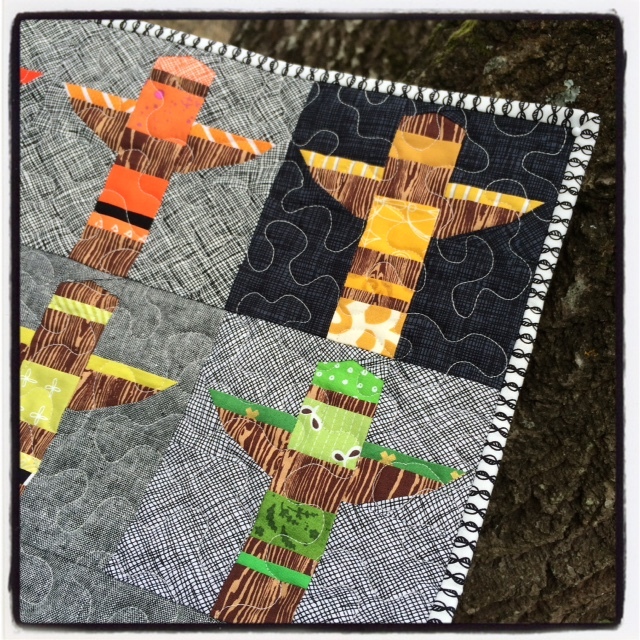 Of all the quilts I’ve made recently, my Totem Pole Quilt has been the most fun. I had a great time choosing fabrics from my scraps to piece the pattern, which I designed myself. You can read all about this quilt in the original post here. You know you’re on to a winner when the repetition of piecing paper pieced blocks doesn’t get to you. I can honestly say that each of these blocks was a joy to make and I’m looking forward to experimenting with a second version some time soon. You must all know the drill by now, so go forth and browse this and all the other festival categories. If you’re so inclined, I’d appreciate any votes you want to put my way. Thank you! 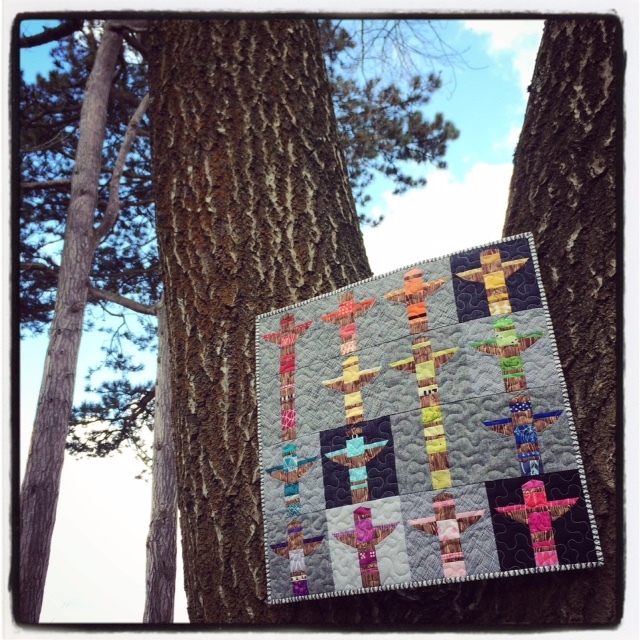 As the king of last minute, I’m frantically writing this to share the details of my entry into this spring’s Blogger’s Quilt Festival before I get myself off to the dreaded day job! For those of you who are unaware, the festival is organised by Amy of Amy’s Creative Side and takes place twice a year to coincide with International Quilt Market. I highly recommend entering as it’s great fun and extremely inspiring, though even just browsing all of the amazing quilts on show is well worth it too. I’ve seen so many creative pieces over the years and it’s where I’ve meet many of my favourite quilty people for the fist time. 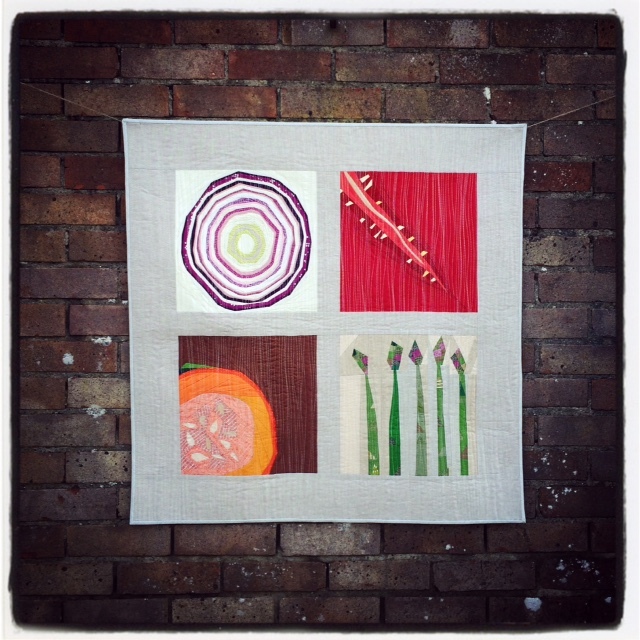 This year, I’m entering my second Vegetable Patch Quilt into the Original Design category. You can read more about my process behind designing and constructing this quilt in the original post. These quilts have kind of become my trademark in a way and I love sharing them with people. The feedback I’ve received has been amazing and I’m so grateful for all the encouragement I receive to get on and make more. I can’t share too much with you all at this stage, but know that I have lots of exciting things planned involving these quilts and can’t wait to get sewing. So, if you wouldn’t mind, I’d love a vote from you, though I know from experience that it can be hard to choose! So, go away and spend an afternoon browsing all the wonderfulness that’s on display at the festival. You won’t be disappointed!